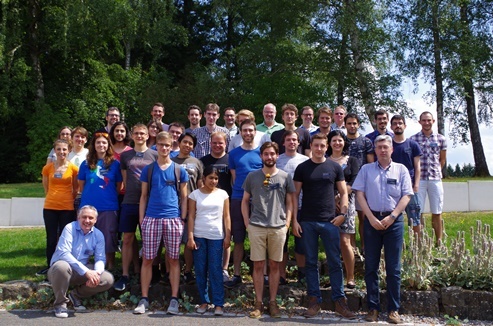 20 physics students from 7 european countries and a variety of lecturers lived together one week in Grunberg discussing about neutrinos, quarks, dark matter, detectors, data analysis. Some nice hands-on session were also very appreciated. Prizes for the better poster, better question and better answer wer awarded. Nice social life, including an excursion and bier tasting was enjoyed by everybody.